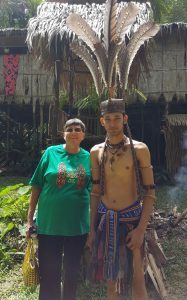 Scroll to the bottom for periodic reports Sharon made reporting her plans, needs, prayer requests and progress. FOR SLIDE SHOW OF THE MALAYSIAN PORTION HER TRIP [CLICK HERE]. FOR THE INDONESIAN PORTION [CLICK HERE]. Sharon Dumas, is a mother, grand-mother, retired school teacher and member of First Baptist Church of Honolulu. In the 40 years she has been a member of FBCH she has served in a variety ministries and leadership positions, including Sunday School Teacher, Superintendent, Librarian, Historian, Member of the board of Christian Education, and more recently as Director of Missions. Anyone who knows Sharon knows of her heart for missions. 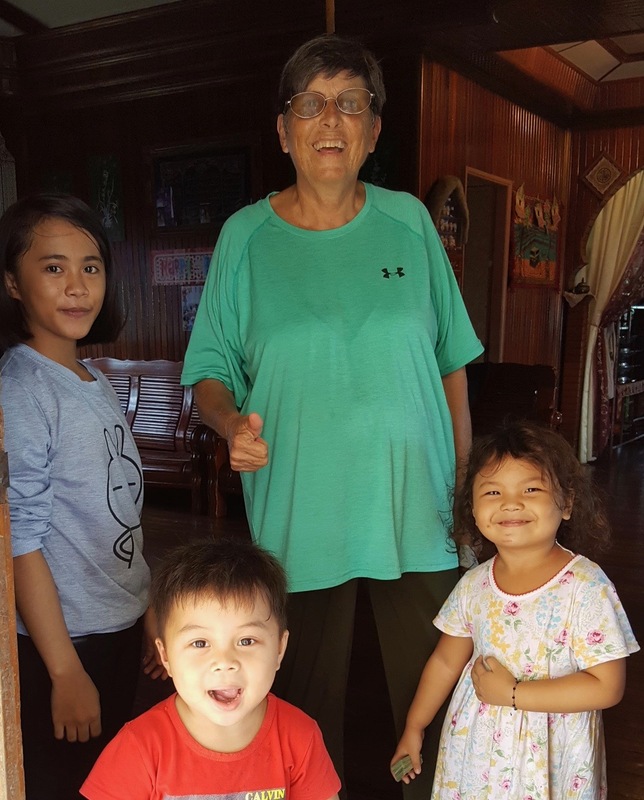 With her husband of 37 years (Homer) deceased, children all grown and on their own, and having recently retired, Sharon was in a position to hear and answer God’s call to the mission field. 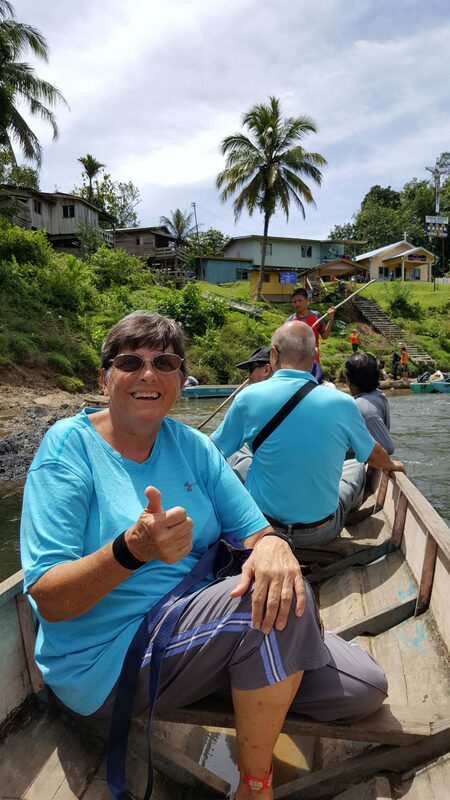 Early in 2015 Sharon began to sense that God was indeed calling her to an even greater commitment to missions. She has been on multiple short term mission trips over the years to such places as Nicaragua, Burundi, Thailand, Myanmar but now God was asking her for an even greater sacrifice and longer term of service. Sharon explains, “It all probably started about a year ago, when I sensed God telling me not to travel except to see family or to participate in missions.” It was her work as a facilitator for the Kairos course that created a sensitivity to God’s voice speaking to her about missions. God began talking to her about applying some of the principles she had been learning and teaching about the mission field directly on the mission field. “People have tried to talk me out of this move saying that you can talk to people about Jesus anywhere which is true, but I believe that God wants me on a foreign mission field and He has provided the means by which I can go.”, explained Sharon recently in a communication she sent to her team of prayer warriors. Another way in which God was speaking to Sharon’s heart was through reading. She shares, “All the books I read, were in one way or another telling me to use more of my money and resources to help others. They all seemed to pound home the fact that Americans are being very selfish and inefficient with their resources. I already believed this but God impressed upon me that I could give up even more.” One of the books that Sharon read was by author Ron Sider. Ron was scheduled to speak at FBCH so she bought and read his book, Rich Christians In An Age Of Hunger: Moving From Affluence To Generosity. As you might expect from the title, this was another means God used to confirm and reinforce His message. Through much prayer and due diligence, some winding paths and ups and downs, Sharon’s assignment has become clear. Beginning in June she has been appointed to serve with American Baptist International Ministries to advise English teachers in Indonesia for 6 weeks. From there she will be off to a foster home in Malaysia for 6 months, where she will be teaching English. 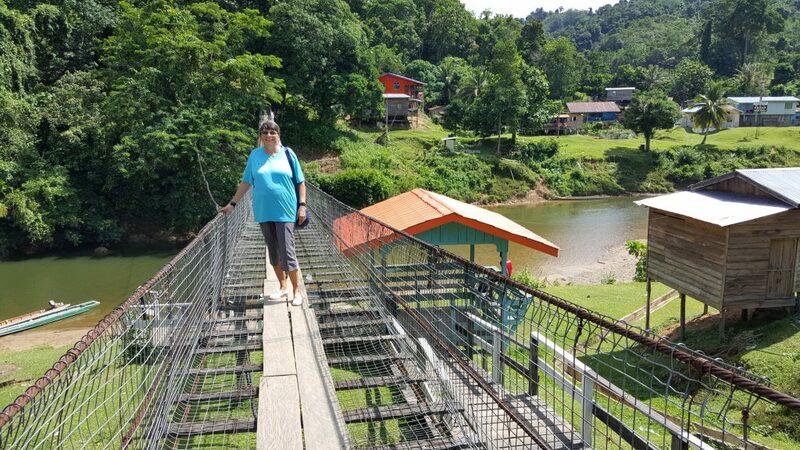 Sharon will be ministering at the Jireh Foster Home in Tuaran, Malaysia (located on the island of Borneo) for about 6 months beginning in July. There are 35 children there, ages 7-19. Six of them are unsponsored and Sharon is inviting you to help sponsor a child. One person does not have to cover the whole amount. It is her goal that all the children be sponsored at least for the period of time that she is there. Sponsorship is $100.00 per child per month. Contributions of any amount will help her reach her goal. Donations can be made to First Baptist Church of Honolulu with the notation Jireh Foster Home. 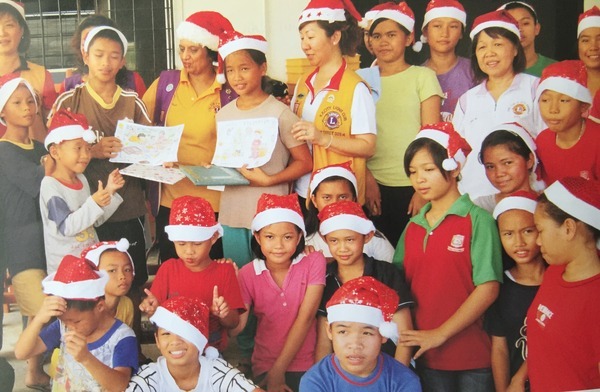 DECEMBER 14TH UPDATE: We went to Kota Kinabalu for their annual Christmas celebration. They sing many of the same carols that we do. There were some decorations in the city but not as many as we have at home. I will be going to another city to spend Christmas. It’s been over 50 years since I spent Christmas without family. I know that I will miss my family but I will be with friends so hopefully I will feel okay. Since the students are on vacation, I have been assisting with cleaning projects, even cleaning toilets one day. They are beginning the first phase of the education center by converting two bedrooms into classrooms. I am sorry that I have to leave during this exciting juncture. However, I am looking forward to seeing everyone back home. Selamat Hari Natale dan Tajun Baru! NOVEMBER 24TH UPDATE: HI everyone, Yesterday we had an assembly in which students and staff gave speeches in English. I gave a mini speech in Malay describing the wordless book. I did pretty well. Knowing the key words comes in handy when trying to talk to people about Christ. I went to a graduation ceremony for elementary school yesterday morning. Some of the students here earned lots of rewards for their academic work. The young students usually have 12 subjects including Arabic, English and Malay language. Last night we made candy canes out of pipe cleaners and learned all the ways a candy cane reminds us of Jesus. If you do not know the story, you can look it up on line. This weekend we are headed to the mountains for a couple days. It will probably be cooler there than here. I am looking forward to seeing Mount Kinabalu up close. On Tuesday most of the students go back to the village for a month’s vacation. I will stay here at the house until December 22 and then go to another city to visit a friend for a week. So far as I can tell, people celebrate Christmas here about the same way we do, caroling, visiting family and friends, going to church etc. Tuhan memberkati. God bless you. NOVEMBER 20TH UPDATE: The assembly was a success. I count at least 4 miracles, children that not long ago could not say much but who actually pulled through with a nice speech. A couple of them were especially happy with themselves because they had never given a speech like that with a microphone. Only downside, only three board members came. No one bothered to get commitments ahead of time. The man who insisted on a bunch of changes and two other men who wanted to give speeches did not show up. This messed up the timing. However, the main thing is that the kids had a good experience. Staff, including me, give our speeches Thursday. NOVEMBER 8TH UPDATE: The adult class here at JIreh Home has just finished reading the book, Prayer of Jabez. They are challenging the members of FBCH to pray the prayer with them. They also covet your prayers as they begin to pray the prayer also. The prayer is found in First Chronicles 4:10. Let’s pray together and see what great things God does at our church. We are having an assembly on November 20 at which time the secondary students will be saying their speeches for the board members. Later that week, the staff including me will say speeches for the children. I am doing my speech in Malay about the Wordless book. Pray that we all memorize our speeches. Students are finishing up tests this week so they still need your prayers.Thanks for your continued prayers. education with a strong emphasis on English instruction. In the village there is not always a secondary school available. We all went with the same burden. To see how we can help the children in the village .The group is exploring different options to see what can be done to help the children. There are government obligations and other things to consider when making the plan. Right now, they are seeking God’s guidance. Please pray that they will discern God’s will and then find the resources to carry out their plan. At some later date, there is a possibility that some of the group will go to Hawaii to share their burden. One of the refreshing things for me on the trip was seeing how God is everywhere. 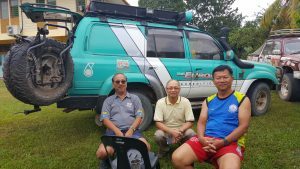 We were in a very remote, hard to reach village, but God was there doing good things. The passion to protect the children’s faith also really touched me. It is this passion to join God in what He is doing that keeps me going. I will see all of you in a couple months. OCTOBER 19TH UPDATE: am feeling much better. I go to the village tomorrow for 3 days. Pray that I do not get car sick and that I meet up with the group. I have to take a bus to KK and then find the church. The mouse is still in the kitchen and the kids are still playing with cats. Please pray that no one gets rabies. Praise the Lord that I got back to Malaysia safely. We added some more classes to the schedule. Some students have important exams in In the early part of November so pray that they do well. OCTOBER 6TH UPDATE: Hi everyone, My computer does not work in Sabah for some reason, but here in Singapore it seems to be working fine. I have not been able to do group emails from my phone. I am in Singapore for 10 days doing my visa run from Malaysia. Last night I taught a class to Burmese immigrants. I hope to do some sightseeing and shopping while here. It was raining with thunderstorms this morning. I forgot my umbrella. I think it is suppose to rain every day so I probably need to buy an umbrella Things are fairly expensive here because the exchange rate is not so good and they just charge more. My tiny room at the Y is $90.00 a night. Oh well, you only live once. It’s only paper. I think that is what my brother would say. I was kind of frazzled yesterday because it was so hard to get to the Y. Everyone kept giving me directions to the YWCA instead of the YMCA. My bag started to break so I could not walk anymore. I tried to get a taxi but it is nearly impossible in the late afternoon unless you call for one. When I called, they said, I needed a local number. Sorry I do not live in Singapore. I finally found a free taxi but he did not know where the YMCA was, nor the Presbyterian Church nor the National Museum. How he has a permit to drive taxis I do not know. I think he thought the ride was too short and just made up that excuse. Finally when I was getting really frazzled, God gave me a taxi and I arrived at the Y an hour before I was suppose to start teaching. I got to my class and the class went well. Also, fortunately it was not raining when all this was happening because I do not have my umbrella and would have not been able to hold it anyway since my hands were full. Thank goodness, Today is a new day and all that is behind me. AUGUST 15TH UPDATE: I am developing more of an empathy for first time missionaries and those of the past. At times I feel isolated and out of the loop.but nothing like those.of the past who had many disadvantages such as lack of resources to learn the culture and language, lack of tools to communicate with loved ones and no feasible way to return home. Hats off to all of them. AUGUST 14TH UPDATE: I have been in Malaysia for one month. Fortunately the Malaysian and Indonesian languages are similar so I had a head start in learning Malay. I teach the cook in the kitchen so I am learning some cooking terms. I also pick up words by tryng to learn songs in Malay. Also pray that all the students do well in school.